First of all, online businesses and SaaS companies need to stop believing that they will boost numbers by driving more traffic their way. After all, more doesn’t always mean better. So, why not work on improving the quality of your existing traffic by tracking micro conversions? There’s a good chance you will save a lot of money in the process. Unfortunately, marketers tend to forget the importance of one thing that actually plays a huge role in generating revenue – micro conversions. Sure, we are well aware of the fact that macro conversions are the only thing our superiors care about because that’s where the money rolls in. However, what about all the other engagement points that show what your visitors do on your website? Where do they click more? What pages do they stay on longer? What drives them away? Download Your Free Copy of “The Complete Guide to Lead Generation: 120 Tips to Skyrocket Your Leads” Here to Find Out How to Bring In Up To 97% More Leads. Hence, understanding your audience gives you the opportunity to craft valuable and highly-targeted content. 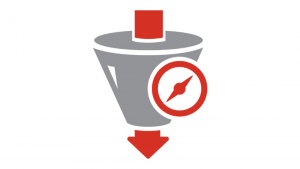 Moreover, it can up your overall conversion game, increase the ROI and support paid campaigns. 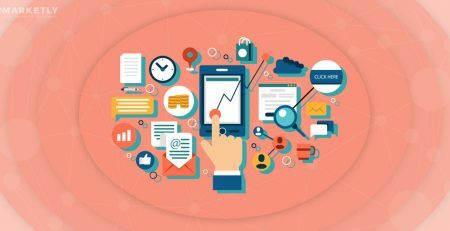 Surprisingly, micro conversions are often an untapped and extremely useful data source that is full of potential. Of course, for most companies, the primary conversion goal, or macro conversion, is to sell something. So, why spend time on something that doesn’t bring in money in an obvious way? Let’s be real for a second. How often do people go to a website that they haven’t been on before, click the ‘Buy Now’ button and give away their hard-earned cash? Be that as it may, people need to take their time to change their mindsets and go from “I don’t care” to “shut up and take my money!” Learn how to set up a basic funnel for your business to nurture leads by downloading our free Essential Guide To Funnel Building. Along the road, visitors are bound to navigate your site, read up on information relevant to the product they’re interested in, even check your social media game. Basically, do everything they can to tilt the scales toward or away from a purchase. Therefore, the main question here is what small steps are your visitors taking on their way to making a purchase? Well, the structure of your website actually defines the actions that your visitors can perform. However, if you don’t take the time to track and analyze these small steps, or micro conversions, you’ll never know what is really happening behind the scenes. Claim your spot at our FREE workshop on Building and Running $1MM Funnels to learn everything you need about structuring your online business. Strangely enough, one of the biggest players in the fields of web analytics and online marketing, Avinash Kaushik, recommends to “focus on measuring your macro (overall) conversions, but for optimal awesomeness identify and measure your micro conversions as well.” So, it is equally essential to measure both micro and macro conversions. Think about it: how can you tell what leads to a successful macro conversion, if you don’t measure the path your visitors take to get there? As a matter of fact, only a few percent of your website visitors will follow through with making a purchase. So, let’s say you are satisfied with visitors, who became paying customers. However, what do you do with everybody else? Actually, it is your job to measure all the completed micro conversions. So, use that data to optimize your paid campaign efforts. Know your visitors. Get a full picture of who visits your website. Instead of seeing a blurry mass, you can see specific data and discover who uses your site, why and how. Therefore, don’t underestimate the power of visitor insights – micro conversions tell the whole story of their journey. Boost struggling areas. Putting it short, you’ll be able to learn where you can apply your efforts to yield the biggest results. Instead of focusing on something that will not impact your campaign greatly, micro conversions help you identify areas where you need to roll up your sleeves now. Know your value. Your visitors leave data footprints that you can study to find out where most of them are going and work on improving that area. Perhaps, you already have some areas that are performing really well and you’d like to repeat its success in other areas of your website. 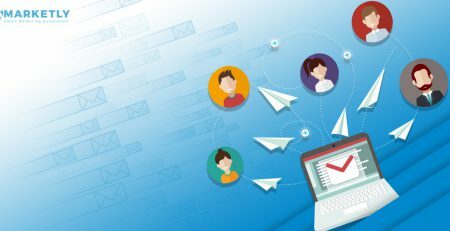 Track engagement from multiple channels. A lot of micro conversions happen outside of your website, but they are also vitally important. See how your visitors interact with social channels, what they download, and how they came across your website. Identify drop-off zones. Are your visitors running into obstacles along the way? Examine what’s pushing them away or what’s not working on your site through the magic of micro conversions. Draw inspiration from our free eBook on lead generation design tips for landing pages. Identify successful strategies and techniques. No more guesswork – take advantage of tracking micro conversions to identify the features that work best for your visitors and move forward from there. Your audience in numbers. Senior management loves seeing specific numbers to get the pulse of their organizations. Deliver all-inclusive website performance reports to your boss and other managers to provide them with a comprehensive picture of the target audience. To recap: data is good, more data is better, and more better data is exactly what every business is looking for. We hope that now you understand what micro conversions are and why they’re important. So, it makes sense to look at the different types of micro conversions which you can and should measure. However, before diving further into micro conversions, note that you do not need to track all possible micro conversions. Thus, find out which ones matter the most to your type of business and use them as cornerstones. 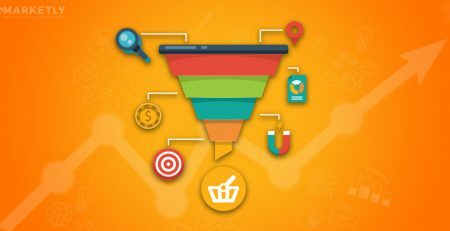 Basically, the way to pin down the micros that matter to you is by identifying your macro conversions and working backward from there to find out what actions you website visitors take within your funnel on the way to that macro conversion. By the way, if you want to learn how to run successful $1MM funnels, grow your email lists with 12 powerful strategies, and apply advanced Facebook advertising to increase conversion rates, join our 3-parts workshop here. Leads to a macro conversion. Key micro conversions result in a macro conversion goal. Focus on the ones that put money in the bank. Acquires more leads. Identify the micro conversions that bring in more leads. Top-notch opt-in forms can get the job done. Supports your KPIs. Select events and actions that are in line with your key performance indicators not to stray off course. Free Download – Learn How to Acquire More Leads From “The Complete Guide to Lead Generation: 120 Tips to Skyrocket Your Leads” And Get Up to 97% More Leads With It. Download the FREE GUIDE Here. Newsletter or mailing list signups. 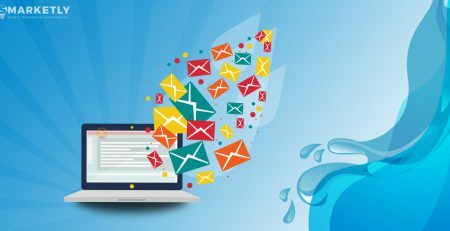 Want to know if your drip marketing campaign was a success? Track the number of new leads to see how your business has grown. Resource downloads. It is a sign of interest when someone downloads something from your website. Therefore, make sure you keep an eye on such leads and track them. Products in shopping carts. Once a product is in the shopping cart, the next step is the purchase. Unfortunately, a whole lot of people don’t actually buy, even if they have a few items ready to be checked out. Micro conversions will tell a story here and you better pay attention. 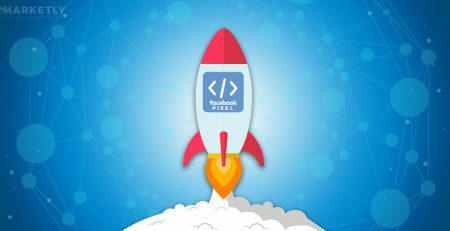 Now, we’ve covered the essential micro conversion points and here are some additional actions that your website visitors engage in. Naturally, they can be categorized as interest, engagement and activity-related micro conversions. And these are just the most widely-used micro conversions. Consequently, make sure to identify the ones that impact your business and grow from there. A goal is any action performed by a website visitor that transfers the visitor a confirmation page. An event is when a website visitor performs an action that does not take him to the confirmation page or if there is no such page. 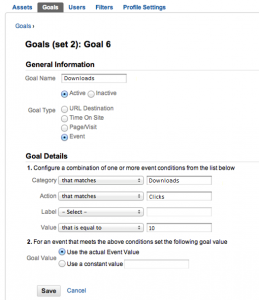 That’s how, a useful new feature allows you to track events as goals in GA. Setting up an event in GA is not as difficult as one may think. By adding a small piece of code to the URL that will be clicked on by visitors, you will be able to track the event. What option are there in GA for event tracking? Category. This is where you name the event category. Such events are usually similar, so make sure you put the most general name here and continue to do so in the future. Action. In this field, you have to indicate the action that was taken to trigger a certain event. Label. When tracking same-type events, this field can be used (optional) to tell them apart. Value. Here you can indicate how much a certain micro conversion is worth to you. Non-interaction. An additional true/false field that lets you record certain actions as events in GA, not bounces. Complete the Category, Action and Non-Interaction fields. There are no quotation marks around Value and Non-Interaction. Non-Interaction can either be true or false, no third option. If you don’t use Value and Label, get rid of the quotation marks around them, but keep the commas. Go to your GA profile and click on the Gear icon. Select Goals next to your Profile info. Categorize your events into goal sets. Click the Event radio button, once your goal has been named. Indicate your event details the same way you did with the script. Congratulations! You have now successfully set up an event as a goal in Google Analytics. I bet this helped get through your first encounter with GA. Yet, there are is a more sophisticated way of tracking those micro conversions. Putting it short, analytics tracking software sees a lot of info when this link is clicked on. In fact, a variable with a value is delivered by each tag. When done right, tagging lets you track your micros, do attribution, and even produce very helpful and guiding reports. 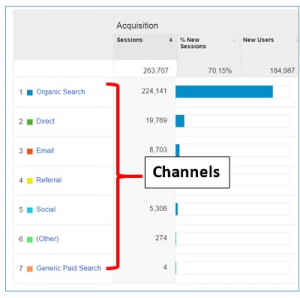 GA produces source and medium-based channel data, or traffic source data, if you will. These parameters show where a website visit originated. Besides, you can also use them to segment paid, earned and owned visitors. Frankly, you can put whatever you want under medium. However, GA does have standards that may cause you some trouble, if you don’t respect them. The usual thing to put here is social, referral, cpc or organic. In addition, as you may have already guessed, sources indicates the referring website. Google will retrieve the source data from the referring site’s URL. However, it would help if you indicated the source when possible. You can add a lot of detail to your data by setting the campaign, keyword and content UTMs. Keeping an eye on your micros enables you to track every click’s contribution, plus attribute micros to sources. As we mentioned earlier, GA gives you the opportunity to set up URL-based (clicked link) and event-based (time on site, scroll distance) conversion goals. Micro conversion tracking gives you the ability to find out how much value is generated through initiatives and sources that don’t lead to macro conversions, like sending highly-engaged traffic to poor content. Since your boss only cares about the clicks that bring in the big bucks, you’ll probably need help from attribution reporting. Make use of it to find out what micros and macros resulted from various channels, sources and mediums. Despite the fact that it is imperfect, you will still learn a lot about your revenue sources. Measure and track your micro conversions. The data is there, why not use it to your advantage? Of course, you ultimately want to see more macros. However, ask yourself this: can a macro conversion happen without any micro conversions? By optimizing your micros, you will revamp your entire website and skyrocket your overall conversion . It is extremely difficult, even close to impossible, to cover every aspect of micro conversion tracking in a single post. Heck, people make a living selling books that explain how to measure and track micros. Are you ready to get the ball rolling? Focus on the micro conversions that matter the most to your business and the macros will straighten out themselves.